Android 9 Pie is the latest version of the world’s most popular mobile operating system. With AI features being its main draw, the new OS also comes with interesting traits like an adaptive battery, gesture-based navigation, an official dark mode along with a few tricks that will help you reduce your interaction with the phone with ‘Digital Wellbeing’. 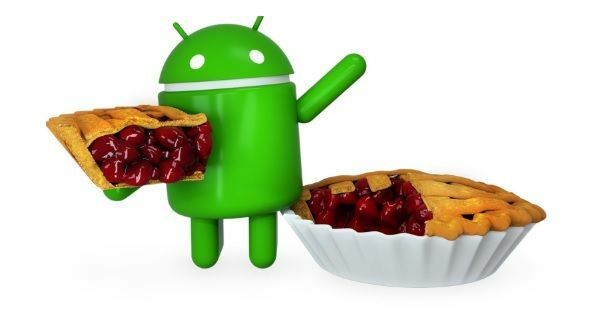 All the Pixel handsets were the first ones to receive Android Pie via OTAs (over the air) updates. Apart from these, select Android One smartphones have also been upgraded to the latest Android version. And this year, Google has partnered with other smartphone manufacturers to distribute the new firmware in a timely manner. With the collaboration, the search titan is trying to ensure that apart from the Pixels and Android One devices, the other smartphones also get the latest version of Android without much delay. So if you are waiting for Android 9.0 Pie on your smartphone, here’s a comprehensive list of devices that have been confirmed or expected to receive the new firmware. Ever since HMD Global resurrected the Nokia brand, the company has always promised to deliver the latest Android experience to its handsets. Notably, earlier this year, the brand confirmed that all of its devices will be getting the Android Pie update, including the entry-level Nokia 1 (first impressions), which shipped with Android Go (Oreo Edition). The Chinese giant offers a custom Android-based ROM with its smartphones called MIUI. The latest version of the MIUI is called MIUI 10 that’s based on Android Oreo, which is yet to be released for many of the brand’s phones. So it remains to be seen when the brand will be updating its devices to Android 9.0. However, mentioned below are some of the Xiaomi smartphones that are expected to receive the taste of Google’s latest mobile OS. The South Korean tech giant has confirmed that its latest Galaxy S and Galaxy Note series flagships will be getting the Android Pie update in early 2019. Apart from these, we can also expect some of the latest Galaxy A series handsets could also get the same treatment. OnePlus also offers a stock-like custom OxygenOS for its smartphones The company recently released the final stable build of the Android Pie-based OxygenOS ROM to the OnePlus 6 (review). The brand’s latest flagship, the OnePlus 6T (review) boots Android 9 Pie-based OxygenOS out of the box. Notably, the vendor has confirmed that it will be bringing the same update to its OnePlus 3 and 5 series handsets as well. Taiwanese brand HTC is one of the first manufacturers to confirm the timeline for the Android 9.0 Pie update for its devices. The brand has announced that all its latest smartphones will be getting the Pie treatment in the near future. Huawei recently started the Android 9.0 Pie-based EMUI beta program for some of its recent smartphones. The brand has already released the new firmware for the Huawei 20 Pro in some markets. Listed below are the Huawei handsets that will receive the Android Pie update first. Huawei’s sub-brand Honor is also testing the Android Pie-based EMUI update on some of its devices. The company has already rolled out the Android Pie update to the Honor View10 (review) smartphone in some markets like Europe. Similar to Nokia, Motorola also delivers timely Android updates to its smartphones with almost a stock-like experience. The company has already announced that most of its recently-launched devices will be receiving the Android Pie update. When it comes to the latest Android updates, Sony tries to keep its consumers informed about the expected timeframe as soon as the latest build is out. The Japanese giant has already confirmed the first set of its smartphone, which will be receiving the Android Pie update. LG’s has an inferior reputation when it comes to delivering the latest Android experience to its users. However, earlier this year, the brand kicked off its global software upgrade centre, which will enable the brand to roll out OS updates faster. Listed below are some of the devices from the vendor that are expected to receive the Android Pie update. ASUS is yet to reveal the full list of its smartphones that will be getting the Android 9.0 Pie update. However, the vendor did announce that the ZenFone 5Z will be getting the new firmware by the end of January next year. OPPO has usually avoided providing any details about its plans of releasing the latest Android update for its smartphones. However, some of the recent handsets from the vendor can be expected to get the latest Android Pie update in the first half of 2019. Budget smartphone manufacturer Realme has recently confirmed that it will be releasing the Android Pie update to the Realme 1 and Realme 2 smartphones soon. The brand’s other handsets are also expected to get the same treatment in the coming months. Vivo has confirmed that it will be releasing the Android Pie update for its devices before the end of this year. The company also tested the same firmware on the Vivo X21 and X21 UD (review) as part of the beta program. Some other smartphone makers like Lenovo, MEIZU, Coolpad, and Infinix, or the domestic manufacturers like Micromax, Lava, and Intex haven’t revealed any plans to upgrade their smartphones to Android Pie at the moment. We will keep updating this page as soon as we get the information, so bookmark this page for regular updates.